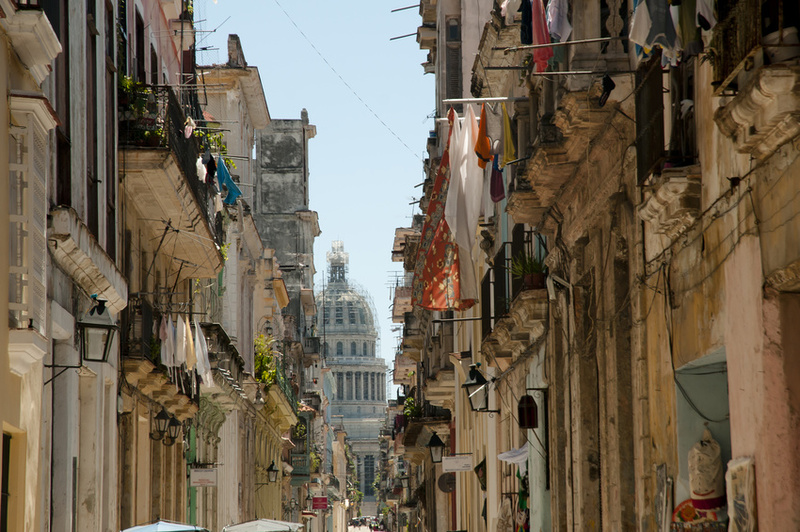 The story behind it: One of our staff members went on a trip to Cuba and was shocked to see how the populations missed everything there. He decided to build this project starting with Cuban populations and spreading the project to any of our staff’s trips abroad. Why we voted for them: This project is generous and smart. It is easy for any of us to bring a little more in our suitcase every time we travel abroad to visit a customer or to attend an event. The team organized several clothes collection within the company and outside. A big Thank You to all staff for their generosity. The team also rose money in a supermarket in 2016 in partnership with “Operation Microdon”, and with a new edition that took place this month, the project is still on tracks. After several “failed” departures, 1rst one planned in March 2016, shifted to October 2016, the team finally managed to fly to Cuba in February 2017 (yes, driving projects can sometimes be difficult ;o ) ). They stuck to their initial model of a first team "in recognition" to get the right points of contacts before organizing a second trip. "We had prepared a journey trying to cross the largest number of cities in two weeks by going from West to East. Our plan was to spend at least one day in each city to be able to create contacts, start a network and not arouse suspicion since we had tourist visas and did not officially intervene as an association. We left for Viñales where we already knew people, which made it easier to prepare distributions in the countryside near the city. Thanks to our contacts there, we managed to learn a bit more about people's situation on the Island : qualified person working at the hospital earns $25 a month. The majority of families are matrifocal families, one can see that women are the center of the family and those on whom all the burden relies in case of difficulties. After discussing with people there, we decided to keep as much as clothes as possible for Baracoa, which had been hit hard by Hurricane Matthew in October 2016. We still had 100 kilos of material that was transported on the roof of a bus-taxi of 15 places containing 30 people to get to Trinidad. This city is classified as a world heritage of UNESCO, but three streets away from the town center, we saw children living in the street, with difficulties to get drinking water and electricity. From there we went to the outskirts of Guardalavaca where we could stay in the accommodations of the people working in the hotels for tourists and see their living conditions. No difficulties to eat, but no wealth either. From there, we then went down to Banes and Mayari, a road that was virtually cut off by Hurricane Matthew in October 2016, and people were piled up by the roadside trying to find means of transportation. We left Carlos for Baracoa. It is difficult to scale poverty, but the entire area was destroyed after Hurricane Matthew, the images are no different from the ones you saw recently for Hurricane Irma, yet no one has heard of Matthew's devastation on Cuba last year. We could climb the mountains nearby, were able to hear the hurricane story. We met people who faced events with great dignity, keeping hope, smiling despite the loss of their home and all their belongings in just a few hours, with a city be rebuilt. Due to Irma, we are now preparing a trip in emergency for this month."